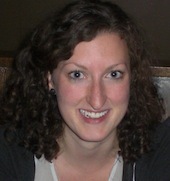 Laura Fox is a first year MA student in the Joint Program in Communication and Culture at York and Ryerson Universities. She completed her Bachelor of Arts in International Relations (Honours equivalent) from Mount Allison University in 2012. Her current research interests include digital storytelling, non-profit sector communications, and transmedia activism.